These days, the beach picture has become the go-to tactic of vacationing Instagrammers who continue to wish to induce envy among their followers long after they've returned from vacation. (Chrissy Teigen of all people is spearheading the fight against the post-vacation vacation 'Gram.) So it follows that the genre has pooled into a literal and metaphorical flex: torsos angled just so to the camera, yachts docked in the distance, an exotic geotag. 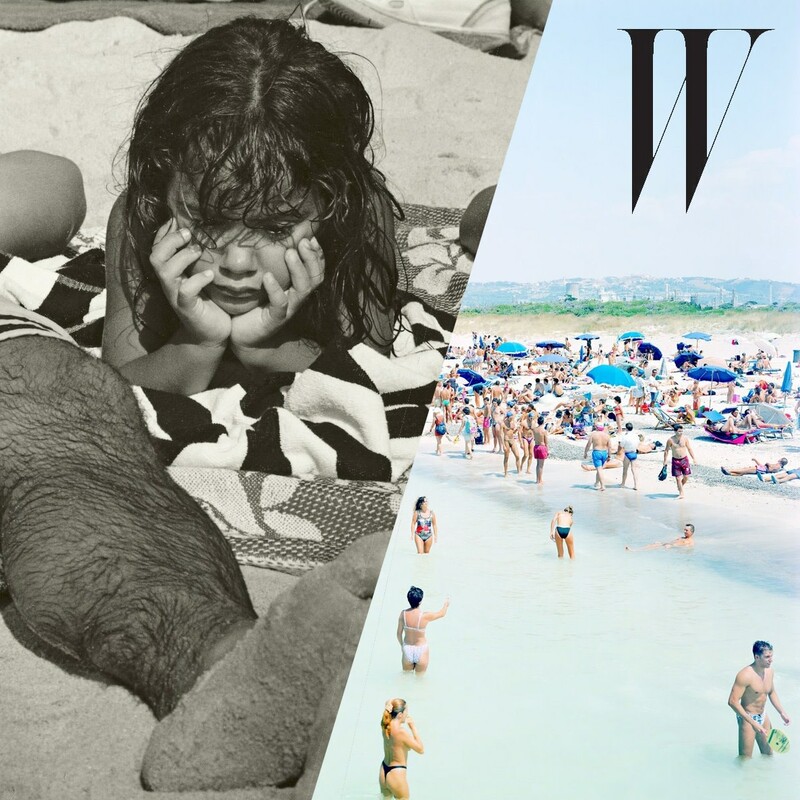 But Massimo Vitali, Slim Aarons, Joe Szabo, and Martin Parr—four acclaimed photographers who have strong opinions on the beach pic—are here to show us what the beach really looks like through their eyes. For some, like Vitali, who shoots his famous seaside pictures with a large-format camera from a seagull's-eye view, see the assembled, unmoving masses as symptoms of a calcified society and an ill leisure industry. Others, like, Szabo, are adept at capturing the blissful oblivion of beachgoers—including to his camera. (He also spent decades turning his lens up, at the lifeguards of Long Island's Jones Beach.) As for Parr, the beach looks to him like an uneasy mix of peacocks, the uncaring, and the exceedingly body-aware. And for Aarons, who survived WWII as an Army photographer, sometimes the good life is just that—as he once famously said of his postwar oeuvre, "I’ve concentrated on photographing attractive people doing attractive things in attractive places." Nothing wrong with that, either. Trapped, (1992). Photograph by Joseph Szabo. Photo courtesy of Joseph Szabo. Embrace, (2006). Photograph by Joseph Szabo. Exhausted, (2003). Photograph by Joseph Szabo. Pierre and Son, (1993). Photograph by Joseph Szabo. Ireland. Kilkee. (2003). Photograph by Martin Parr. Photograph courtesy of Magnum Photos. GB. England. Kent. Margate. (1986). Photograph by Martin Parr. *Spain. Benidorm." (1997). Photograph by Martin Parr. GB. England. Weymouth. (2000). Photograph by Martin Parr. Caleta Beach, Acapulco, (1968). Photograph by Slim Aarons. © Getty Images / Courtesy Staley-Wise Gallery, New York. Kasimir Korybut and Michelle Vaughan begin a raft ride up the White River, Ocho Rios, Jamaica, (1971). Photograph by Slim Aarons. Linda Ashland, Mustique, (1973). Photograph by Slim Aarons. Andros Island, Bahamas, (1957). Photograph by Slim Aarons. Carcavelos Pier, (2016). Photograph by Massimo Vitali. Photograph courtesy of Massimo Vitali. Riccione Black Bikini, (1997). Photograph by Massimo Vitali. Rosignano Three Women, (1995). Photograph by Massimo Vitali. Catania Under the Volcano, (2007). Photograph by Massimo Vitali.